When people say they don’t read it makes me feel sad. They are missing out on so much. Films and TV are great, but there is nothing quite like having your own input into the story. Inventing the characters, the world and relationships. It’s a wonderful thing! This book had been on my radar for a while and when I heard it was being adapted into a film, I bumped it up my TBR pile. I loved it! It was gritty, realistic, funny and at some points, dark. The story was fast paced and never boring. The writing was brilliant and engaging and it felt that the author had a very good and realistic grasp on what it is to be a teenager. The unique way they speak and respond to each other and situations is sometimes difficult for a an adult to pull off but Kody Keplinger did it very well. When I researched the author, I found out she was only 17 when she wrote this book! I think that’s a very impressive feat for such a young person and to do it so well too is fantastic. I’m definitely going to check out some of her other work. So after reading this and loving it, I had high hopes for the movie. At 31, this kind of film is really a guilty pleasure for me (especially as there was a reference to 30 being old). It was a lot of fun, a light-hearted feel good movie with a good moral message. Plus Robbie Amell, shirtless – need I say more! The basic plot was the same but it had many differences. Some of the heaviness of the book was replaced with humour and light-heartedness. Friday Favourites – Book Boyfriends! Following Kiera’s exceptional list of handsome princes and dashing heros I have come up with my own, possibly less swoonworthy – top five Book Boyfriends. Fortunately all of our tastes are quite different, so by the end of next week you should have a comprehensive list of our top 15 literary studmuffins. I’ll admit, I’ve been influenced significantly by Steve Lund, who plays Nick in the TV series. Book Nick is playful, flirty and a bit of a lad. He’s protective without being smothering, and is a bit of a joker. Tick, tick and tick. I’m not sure if I imagined Nick to look the way he does in the TV version, but let’s take a minute to give thanks to the casting agent for making what must have been a very difficult decision. I’ve always been Team Gale. 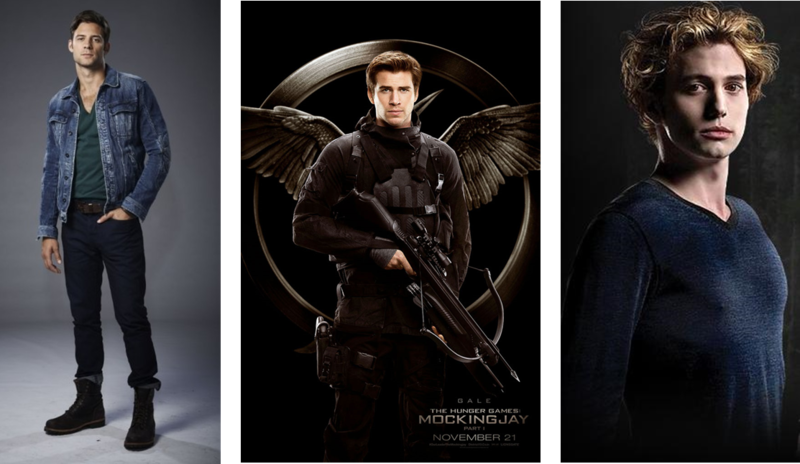 Even though you’re supposed to like Peeta, and root for him and Katniss to pull through, it’s always been Gale for me. He’s strong and loyal, and he loves Katniss despite everything that has happened, including her pretending to be in love with Peeta throughout the series. I think Gale is the heart, Peeta is the head. I’m heart all the way. Gale is also the only non-supe on my list. Not sure what that’ says about me. Ah Daniel. The Fallen Angel. Daniel is described as having blond hair and grey eyes with violet flecks, but in my head he was dark, with blue eyes. Weird. Either way, the character is mysterious but affectionate, aloof but passionate – he has a really conflicted personality which all stems from his devotion to Luce, which is the kind of love you want from a book boyfriend. He also has a ridiculously hot brother. What’s not to like? Team Edward? Team Jacob? Nuh-uh. I’m all about the quiet Southern vampire who speaks like a cowboy and was saved by the love of a good woman. Or vampire. Whatever. Alice and Jasper have a deep, quiet love that doesn’t need a fanfare or big gestures to prove its worth. He’s a peripheral character who is fundamental to the Cullen’s survival. Even with his constant thirst he is kind and loyal, and his ability to influence emotions is one I could definitely make use of. Go Team Jasper! Friday Favourites – Books I loved as a child. I have an endless list for this topic of Friday Favourites. There is something special about childhood books, you always remember them fondly and get a real sense of nostalgia. With many of these picks I could tell you where I was when I read them, what I had been doing, who I with. I also have many of the copies I read stashed away in a box for safe keeping. I’m going to try and be somewhat chronological with this post and hope I can narrow it down a bit, let’s see how that goes! This one is probably pretty common, I don’t think there is a book lover out there that has not read a Roald Dahl book or two! I specifically remember reading The Twits, Matilda and James and the Giant Peach repeatedly. 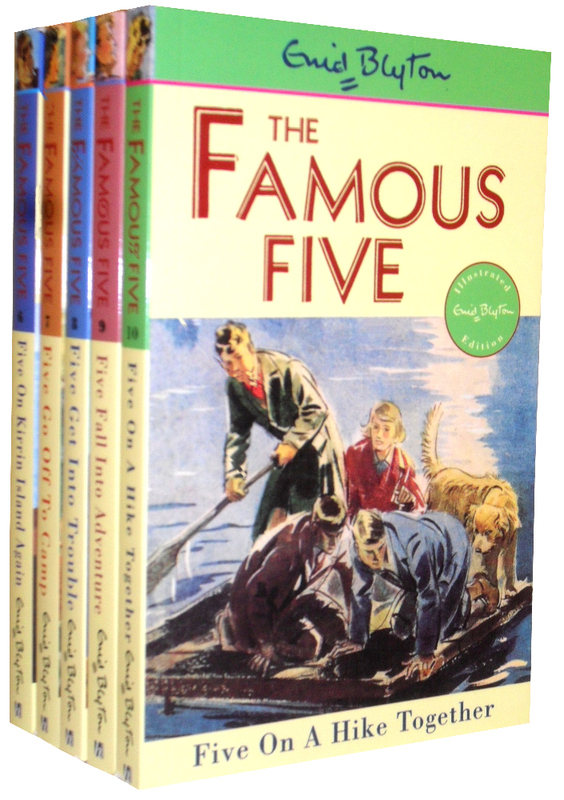 His writing style and the brilliant illustrations always made it so easy for me to picture his colourful characters. I even have the recipe book to go along with the stories, though I confess the only thing I really make is the Bruce Bogtrotter cake nowadays. This is another author I read a lot of as a youngster. 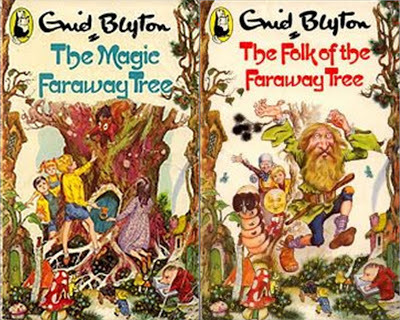 The books that will always stick in my mind are The Faraway Tree stories and The Famous Five. Clearly I wanted to pack my spotted handkerchief and go off on lots of fun adventures as a nine year old! 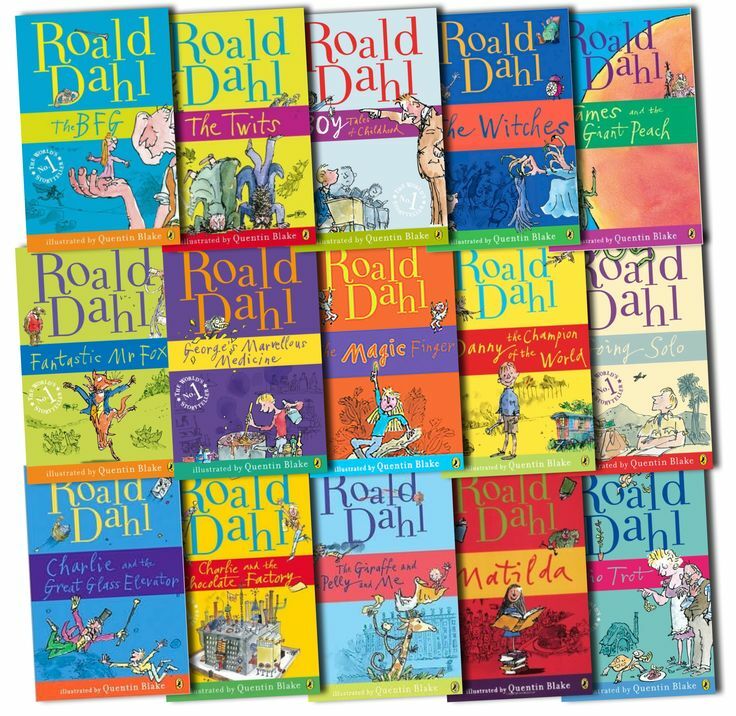 While the Roald Dahl books appealed to me because of their characters, these were all about the imagery and world building. I think I checked all the trees in the local area to see if Moonface happened to be living in one. No such luck! 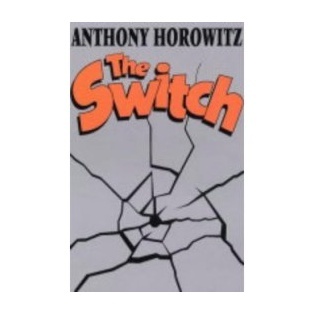 The Switch – Anthony Horowitz. I used to get given book recommendations most weeks from my teachers growing up. Before the days of Goodreads (how did we cope?) it was a case of heading the library and filtering through books until you found something that sounded good. 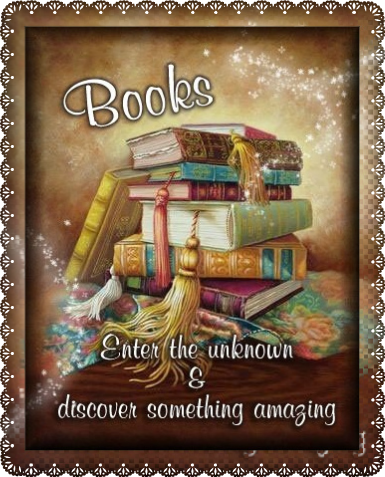 So to have someone suggest a book you might like was always a great start. This was one of them, and the one that stand out most in my mind. I love Anthony Horowitz’s writing style even now and this is going to be one that I read with my son at some point in the near future. 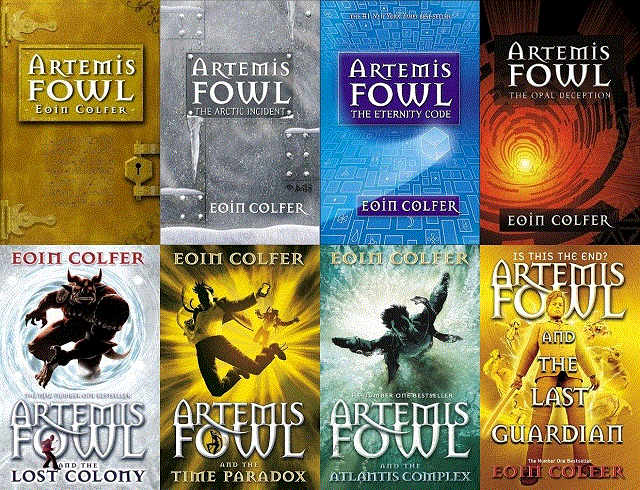 The Artemis Fowl Series – Eoin Colfer. I was fourteen when this series started. It was recommended (as many books are) by my Aunt and we started reading them together. This is an amazing series to have someone to experience with. The story lines are fun and fast paced, the characters are hilarious and the world building is great. Even now we still make references to these books in general conversation. People must think we’re mad. And last, but not least! 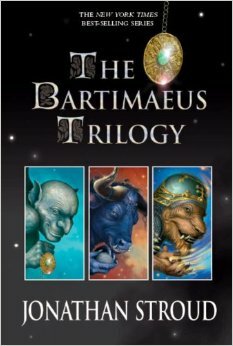 The Bartimaeus Trilogy by Jonathan Stroud. Now, I’m going to say something that is probably going to get me in trouble. This is what I reading when everyone else was reading Harry Potter. I’m sorry, don’t hate me. As a teen I was very much – if everyone else is doing it, then I’m going to be doing something else. In this case it actually worked out pretty well, because this series will always be one of my favourite fantasy stories, and actually they are often compared to Harry Potter now. A boy who does magic, must be like HP. This series had me laughing all the way through, even though it is gritty and all the characters are flawed. I think it set a standard for what I like and look for in fantasy novels now. I’m going to leave it there, while there are so many more I want to mention these are the ones that always come to mind first. What are your favourite childhood reads? You might have noticed a pattern with the books I choose to review. I always write about books I loved or at least really enjoyed, and I think there are two reasons for this. The first reason is that I pick books that I’m fairly sure I will enjoy, which is normally determined by it’s genre, author, by recommendations or more importantly my mood. I can’t read Contemporary if I’m in the mood for Dystopian. It just won’t stick. Is anyone else like this? The second reason is that I have a hard time writing negatively about something that someone has poured their heart and soul into. Reading is so subjective and personal, and while everyone is entitled to their opinion I just don’t feel comfortable with publicly bashing someone’s work. We were talking about this earlier and Gillian Flynn’s Gone Girl was the example. I don’t like thrillers/crime/anything gory/anything scary. I have nothing against any of these things, I’m just a bit of a marshmallow. So I didn’t particularly enjoy Gone Girl. I thought it was well written, and excellently structured so I no idea what was going to happen, but it just didn’t float my boat. So my reading experience was tainted by my own personal traits and preferences and that in turn was reflected in my rating of the book. I guess that’s why being part of a book club is good. It diversifies your reading habits in ways you couldn’t do on your own, and I’m grateful for that. It also means I have to learn how to voice an opinion about certain books that might not be as positive as if I’d picked the book myself. We all have opinions, and they might be right and they might not, but I think as long as they are discussed respectfully then it’s not a bad thing. Plus chances are you’ll probably learn something new along the way. I think book to movie adaptations are always a gamble, because no two people read a book in the same way. Every reader has their own idea of what the lead character looks like, how they fall in love, what their home looks like etc, regardless of how detailed the authors description is. These are the adaptations that hit the spot for me. If you haven’t seen this film, then you should stop what you’re doing and find yourself a copy right now. The book is poignant, touching and funny, and this really comes across on the big screen. I think Logan Lerman did a great job in the lead role, he is cute and awkward, and his scenes with Emma Watson are some of my favourite. Even though it’s not a hugely uplifting story, I felt like I’d been a part of something quite special when I left the cinema. I cried reading the book, so I wasn’t sure how I’d feel watching the movie. Needless to say, I cried even more, sat in my lounge surrounded by tissues. If you’ve had any exposure to either the book or the film you’ll know what I mean. The subject matter was handled sensitively, but without a smidge of sugar coating, hence the 18 rating. The casting was spot on; you couldn’t help hating Percy Wetmore and feeling heartbroken for the gentle giant, John Coffey. This is the only adaptation I did back to front, in that I saw the film before I read the book. Either way, it’s a haunting story that will stick with you long after you’ve read or seen it. Peter Jackson doesn’t really make bad films, and although this is a million miles away from The Shire it’s still as affecting as any story about a ring. You sort of get lost in it, caught up in the life and death of Susie Salmon The film really catches the sense of other-worldliness (probably not a real word) that you get from the book. 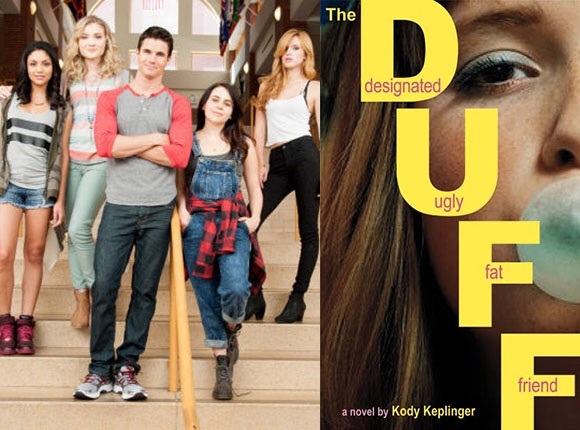 What book – to – movie adaptations have really impressed you?